Be the first to share your favorite memory, photo or story of Rita Jean. This memorial page is dedicated for family, friends and future generations to celebrate the life of their loved one. 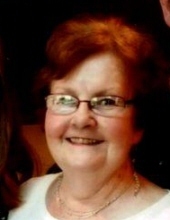 Rita Jean Eaheart, nee McNerney, passed away January 18, 2019. She was a lifelong resident of Chicago. Born April 17, 1941 to the late Carl and Kathleen McNerney. Beloved wife of William for 54 years; Loving mother of Rita Jean Gramm, William (Margaret) Eaheart, and Brian (Carla) Eaheart; Cherised grandmother of Quinn, Burke, Brennan, Delaney and Owen; Rita Jean was preceeded in death by her siblings Mary Alice (Pat) Ward, Rev. Carl McNerney, Margaret (John) Stoner, Jack McNerney and Kathleen (James) Nevels; Treasured aunt to many nieces and nephews. Visitation Friday, 3:00 p.m. - 9:00 p.m. at Curley Funeral Home, 6116 W. 111th Street, Chicago Ridge; Family and Friends to meet for Funeral Mass Saturday at 11:00 a.m. at St. Christina Church, 3342 W. 111th St., Chicago. In lieu of flowers, donations appreciated to Sinsinawa Dominicans, www.sinsinawa.org or 608-748-4411. For Funeral Info 708-422-2700, or www.curleyfuneralhome.com. To send flowers or a remembrance gift to the family of Rita Jean Eaheart, please visit our Tribute Store. "Email Address" would like to share the life celebration of Rita Jean Eaheart. Click on the "link" to go to share a favorite memory or leave a condolence message for the family.